Demolition work has begun on the 100-year-old Schiel School in Corryville. 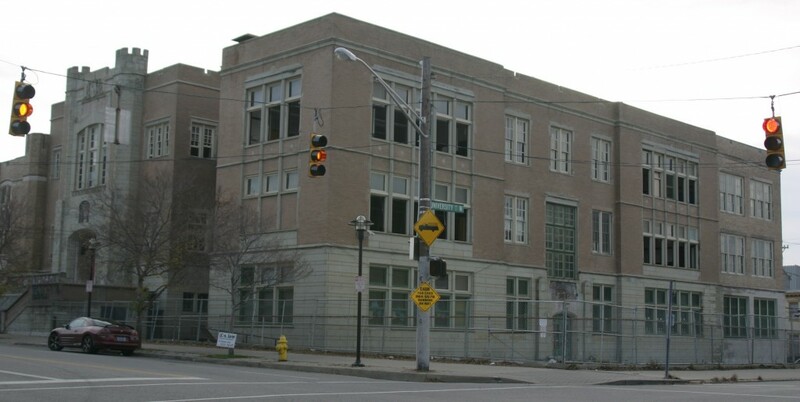 The school has long served as a landmark for the Short Vine business district, but was closed by Cincinnati Public Schools in 2010. To preservationists the demolition of the school marks yet another dramatic loss to the historic fabric of Uptown, but to many urbanists the $20 million development to take its place marks a turning point for the long-troubled business district on the east side of the University of Cincinnati’s main campus. The historic Schiel School is prepared for demolition in Corryville. Project officials say that the five-story, mixed-use development will include 102 apartments geared towards students, and several street-level retail spaces. Fifth Third Bank has already signed on as one of the retail tenants, and will serve as the retail anchor for the project. The development is part of a larger wave of multi-story residential development sweeping through historic uptown neighborhoods like Clifton Heights, Corryville, Clifton, University Heights, Avondale and Mt. Auburn. The developer of this project, Uptown Rentals, now has three developments within the immediate vicinity of Short Vine that are bringing hundreds of new housing units to Corryville. A new $20M mixed-use development will rise where one of Short Vine’s most prominent historic structures once stood. Visitors to the area will also notice other residential developments nearby including one such project sits almost immediately across the street from the Schiel School site on Short Vine. There, older structures have already been cleared, and the new development is now rising from the ground. Community leaders in Corryville do expect the redevelopment of the Schiel School site (map) to transform the Short Vine business district, and it also seems certain that the addition of hundreds of new residents to the neighborhood will change the area’s demographics and urban form. Editor’s Note: An earlier version of this story included an incorrect rendering for the $20 million redevelopment of the historic Schiel School site in Corryville.